The Coquitlam Express Jr. A Hockey Club are preparing for the start of their 2018/19 season. We are searching for families to provide our players a home away from home. We are in need of families that can provide a safe, comfortable and welcoming environment for their player(s). Typically players are billeted from mid-August until Mid-March or longer depending on the club’s playoff success. *The ability to make a positive impact in your community and for your local hockey club. *You will get the opportunity to make a difference in a young player’s life by providing their “home away from home” while they pursue their hockey and life dreams. 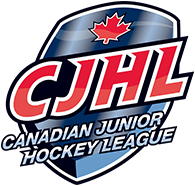 *You will receive a monthly stipend to help cover some the costs for groceries as well as season tickets for you and your immediate family with access to team events and support from our billet coordinater and coaches. WITHOUT BILLET FAMILIES THESE YOUNG MEN WOULD NOT BE ABLE TO CHASE THEIR DREAMS. DO YOU WANT TO JOIN OUR TEAM AND HELP MAKE A DIFFERENCE?